It is expected that Mobile web browsing will turn to next Internet major platform. Technology has now made it so easy to browse the internet from almost everywhere using mobile devices on your hand. When designing for mobile, you should consider how to use the minimum of the available space for your major contents and remain fascinating for mobile users. Avoid using flash animation and large images as it will slow down your site. You should also remember that functionality is much more essential than style for mobile websites. If your website is not properly coded and designed, it may look better on one device, worst on another or even worse, not showing at all. You need to Test, validate, and check if it is accessible or compatible with all mobile devices. To help you in building site that is reachable or accessible not just on laptop or desktop computers but also on all mobile devices, I present to you here some of the things to bear in mind. This is very important because mobile world has grow to a stage where we have a very rich disparity or variation of mobile design from big to small screen sizes and resolution to also a range of shapes. You need to have a variation of designs to fit this needs. Try to find out the specs of recent mobile devices and use your judgment to the best of your ability. The challenge for mobile developers is the way to get one to display appropriately across a variety of screen sizes without having to restructure pages for different platforms. Long sections of text can be rigid or hard to read so placing them on numerous pages limits the scrolling to one direction. You should also get rid of low priority content. Try to stick to a single column of text that wraps well so there is no horizontal scrolling. Simplicity equals to easy usability. Let your design allow the users move around the site without any difficulty. Avoid the use of frames, tables and other formatting. If you make use of padding, remember to keep it to a barest minimum far less than you would use for a normal web page. Compared to normal desktop computers, the more website links you click on mobile, the more time you have to wait because of loading time. For this reason, you need to strip down and make your website simpler by balancing content and navigation. Example, the mobile website of Best Buy listed only the most important product categories orderly down the level of hierarchy for content. You can make available a link for your mobile users to switch back to your full website for the visitors to find and view the other content and features that is only reachable or accessible to the desktop version of the site. Your visitors will surely be doing a lot of vertical scrolling, so aid them out with ‘Back To Top’ links so that they can easily jump to the top of your page. Get acquainted with your audience and know what they need or are looking for. You need find out how they will want to navigate through your website. Your navigation menu should be positioned below the content if your targeted mobile visitors want to see changing content very quickly. The content and headline of your website needs to be visible first and not get in the way of viewing the page content. For visitors who want to go to a particular category right away, put the navigation at the top of the webpage. Your desktop website may use of ‘fly out’ / ‘fly in’ menus, rollovers or drop-down menus, but a mobile browser may likely not. You need to be aware that dynamic webpage elements and image links consume a lot of resources, so decide on using a well-labelled text links. Moving down the cursor will scroll the webpage and highlights the links all at once. So, it will be important to clearly advice the visitor what item is in focus. You can do this by changing the background colour of the links and font or just by adding padding around links to increase the clickable area to about 43px by 43px. Every page download consumes time and also system resources, the latter of maybe in short supply, so you should try not to force the website users to digg through a large number of webpages in order to gain access to the information. Strike a reasonable balance between the number of web links on each page and the depth of the website. It is really hard to input text in some mobile versions of websites. Try to replace them with radio buttons or even list so they can choose what they want with ease. Also remember that mobiles users do not have access to usual keyboard and mouse as in desktop computer. It is better to use shorter the URL, because it is boring to type in longer URLs. Mobile phone browsers normally do not support pop-ups. And if they did, they would have a very narrow space to pop into. So try to stay away from using pop ups on mobile version to avoid fickle results. Also, don’t make pages to refresh from time to time to avoid filling the user’s device limited memory. Let the mobile user decide if he wants to refresh the content. 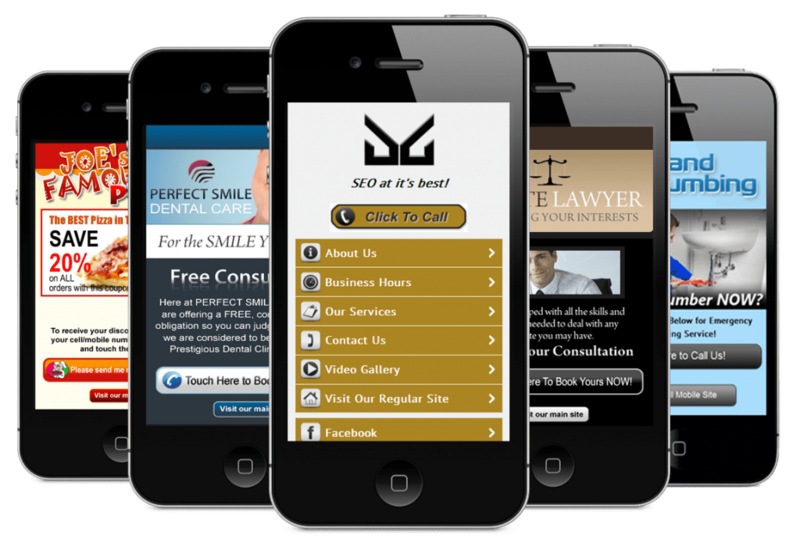 You need to get creative and really apply your mobile web design in an up-to-the-minute. Do make your mobile content persuasive or compelling enough and usable. You need to give your users what they need and exactly when they need it. Remember that they don’t want to dig deeper to your site but just to find exactly what they are looking for in the mobile web in shortest time possible. Do you have any favorite mobile sites that really motivate your imagination? You can you share your interesting mobile web design tips here? I will appreciate it!